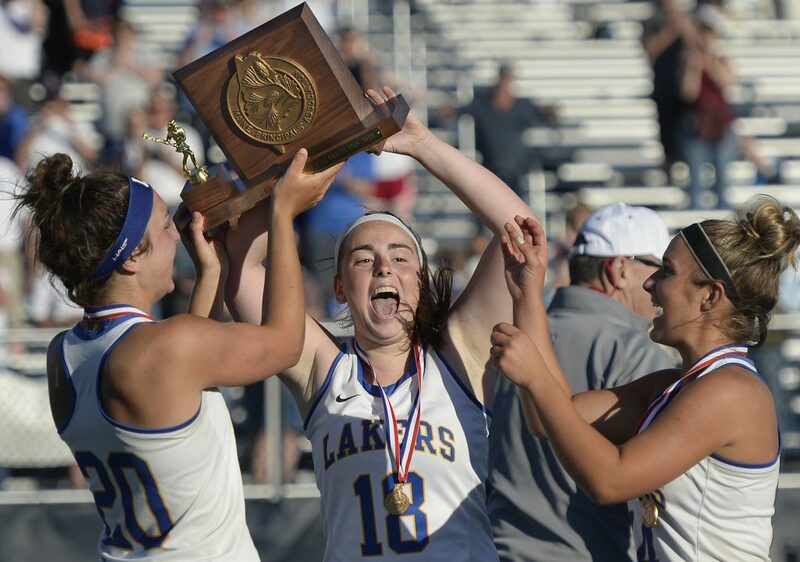 Seven years ago, they were fifth-grade girls in a nascent lacrosse program. Three years ago, they were ninth graders in a first-year varsity program. 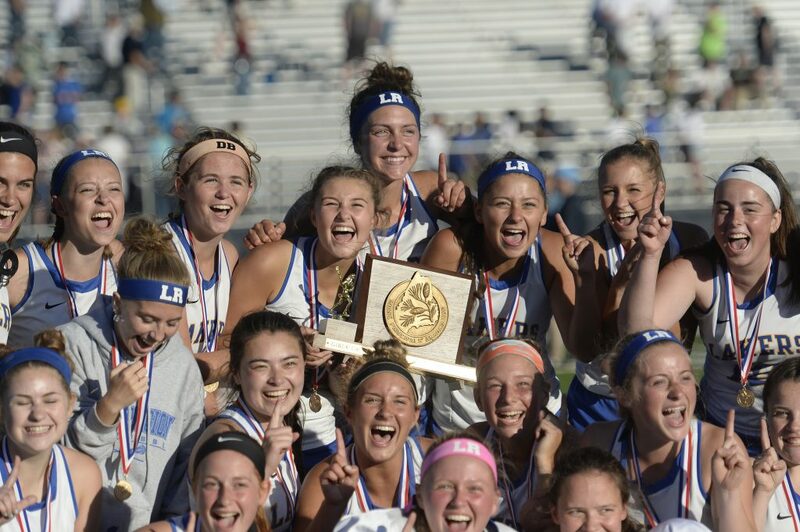 Now, 10 seniors from Lake Region High are state champions. 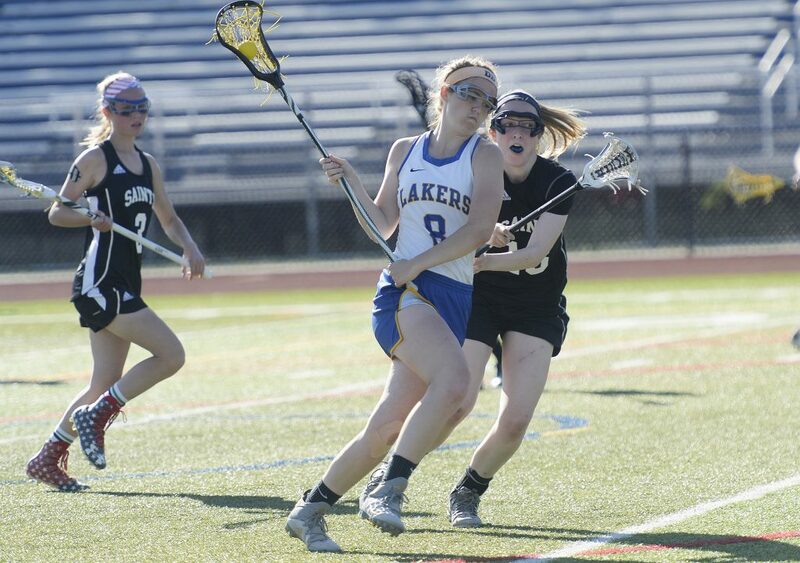 Jakobs scored a career-high seven goals to lead the top-seeded Lakers to a resounding 19-9 victory over No. 2 St. Dominic of Auburn on Friday night at Fitzpatrick Stadium in the inaugural Class C state championship. The Lakers (13-2) needed double overtime a month ago to beat St. Dom’s (11-3) in their only previous meeting, in Naples. In that one, the Saints controlled most of the draws and used their quickness to scoop up the majority of ground balls. On Friday night, that trend continued in the first half, with Lake Region being outdrawn 11-3. Three St. Dom’s goals in the final 50 seconds of the half made it 8-6 at intermission. The Lakers led, but entered halftime on their heels. With Caroline Gastonguay (three goals) taking most of the draws for St. Dom’s, the Saints gained possession to open the second half. When they failed to convert, Lake Region took over. Lindsey Keenan scored from free position to make it 9-6. Avery Lutrzykowski (four goals) answered in similar fashion for St. Dom’s, but 9-7 was as close the Saints would get. 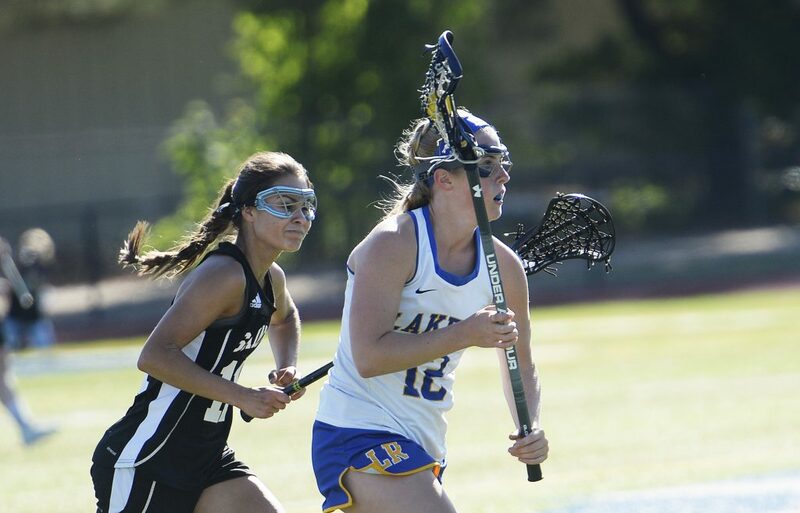 With help from seven consecutive successful draws, Lake Region dominated the rest of the game. Jakobs, Rachel Shanks and Melissa Bonenfant scored in a span of 76 seconds to make it 12-7. 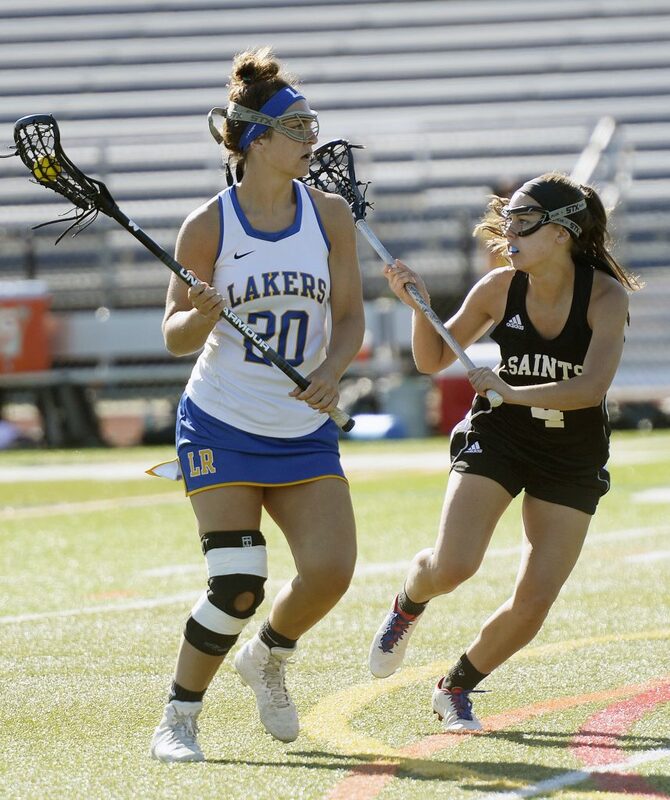 When St. Dom’s extended its defense in an attempt to regain possession, the Lakers took advantage. Lindsey Keenan, face-guarded by Hannah Trottier-Braun for much of the early going, wound up with five assists and three goals. Shanks scored five times. Bonenfant had two goals and two assists. Freshmen Shauna Hancock and Mackenzie Siebert also scored. Lake Region twice killed two-minute penalties in the first half for checks to the head and scored two goals with a player advantage after Gastonguay was sent off for the same infraction. 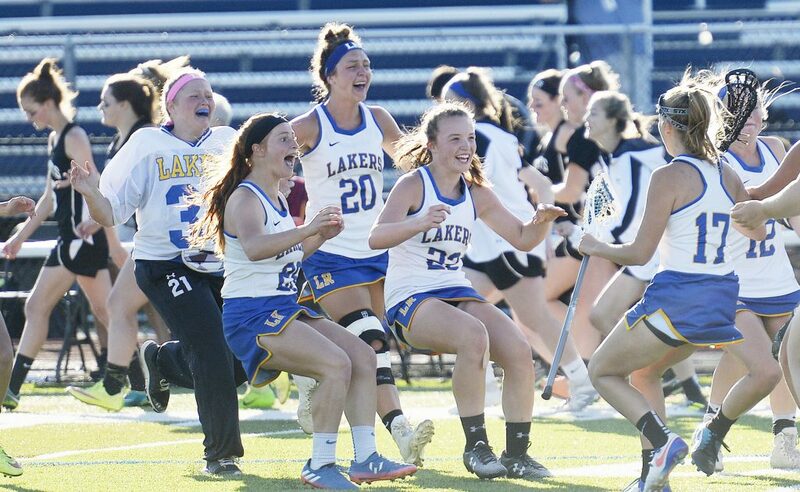 Olivia Deschenes made a momentum-turning steal to set up the second goal, feeding Siebert in transition to put the Lakers ahead 5-2.